Advanced Card Systems Ltd. has launched its eH880 Secure Smart Card Terminal and software development kit targeted at the e-Health market. 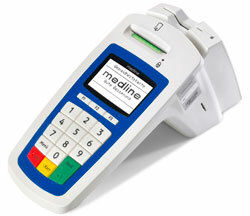 The eH880 is a smart card terminal dedicated to multicard-based electronic health care programs. 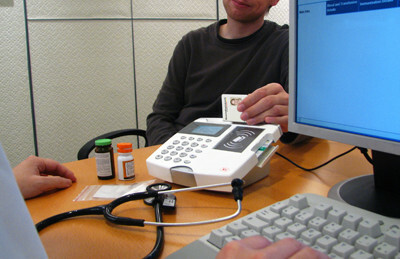 This device is capable of facilitating secure mutual authentication between two parties, for example, between doctors and patients. 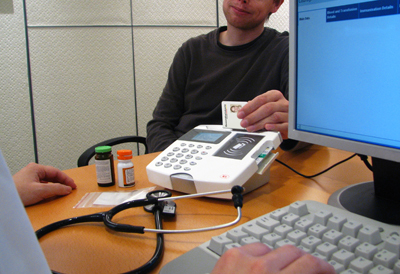 It displays information from one card or both cards, and facilitates data recording and transference through both private and public network infrastructures. Built on a 32-bit ARM 9 processor running on embedded Linux, the eH880 provides third-party programming flexibility to system integrators to ensure the efficiency and quality in developing customized applications. To help application developers, ACS is also introducing the eH880 Software Development Kit (eH880 SDK). The package includes an eH880 terminal, 25 testing cards, all necessary API documents, utility tools, demo programs and sample codes of ANSI C.